What’s the Difference Between Barolo and Barbaresco? Both come from Italy’s Piedmont region, are made from the Nebbiolo grape, and start with “B”. But what’s really the difference between Barolo and Barbaresco? I started pondering this question while enjoying a bottle of the 2011 Produttori del Barbaresco Langhe Nebbiolo. “Barbaresco” is part of the producer’s name, but it’s technically not a Barbaresco. (Find out why shortly.) It was so damn impressive, drinking like a much fancier wine, I had to know more. A quick perusal of wine-searcher.com showed an average price of $20. It was a real “wow” wine for me. In fact, I believe I literally said “WOW!” in an all-caps, exclamatory manner after tasting it. It was great. And I am all for calling wines $20 and under, even $15 and under, GREAT. Check out this (mini)rant about the issue. 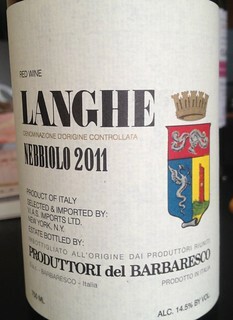 JF: Is this Langhe Nebbiolo “almost” a Barbaresco? Is it just a matter of more time in barrel/bottle to make it so? CZ: Produttori Del Barbaresco is one of the world’s top small cooperatives or, in Italian, Cantina Sociale. Their 300 acres of “grand cru” vineyards are all in Barbaresco commune. Everything they make is from Barbaresco. They are also a monovarietal winery. All Nebbiolo–all the time. 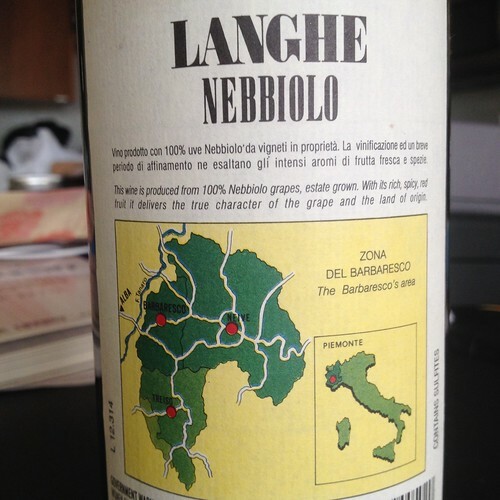 The Langhe Nebbiolo is Barbaresco aged one year instead of two. Fabulous value! Barbaresco at half the price. [Winemaker] Aldo Vacca told me the 2011 is perhaps the best Langhe Nebbiolo they ever made. He said it clearly should be Barbaresco. When I asked why did they make it, he replied, “We need something to have with pizza!” If it were aged a year longer it would be Barbaresco! JF: What’s the difference between Barolo and Barbaresco, generally speaking? Do you find they taste different, have a signature, distinct expression of Nebbiolo? Why is Barolo more well-known? CZ: The towns of Barolo and Barbaresco are only about 10 miles apart. The minerals in the soils are very similar in both villages. The primary difference and biggest contributing factor is the fact that Barbaresco is closer to the Tanaro river and Barolo is further from the river. Hence, Barbaresco soils are more alluvial and Barolo soils are more clay. 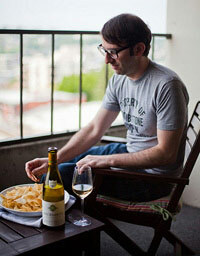 Clay makes for a more sturdy wine and the lighter alluvial soils make for a more elegant, slightly more aromatic wine. Before 1894 there was only Barolo. Grapes from Barbaresco went into making Barolo for the Savoy French court in Torino. At that time the dirt-poor growers of Barbaresco petitioned Barolo to increase the production area to include Barbaresco. But their request was denied. So in 1894 nine families came together to form the first Produttori Del Barbaresco and named their wine for their village. They no longer sold their grape to Barolo, Barbaresco was born. Barolo is a more famous wine for several reasons but perhaps it’s because Barolo had about a 75 year head start on Barbaresco. Both village areas produce the world’s greatest Nebbiolo! Chris, you rock! Thanks for your enlightening answers. Thank you. In large part to Chris. Fascinating how class, history, and wine collide.